"Life of Us" is a first-of-its-kind social VR project. The piece is experienced by up to 4 players/people at a time, where they continuously evolve together; starting from a single-cell organism and ending as a post-human robot. 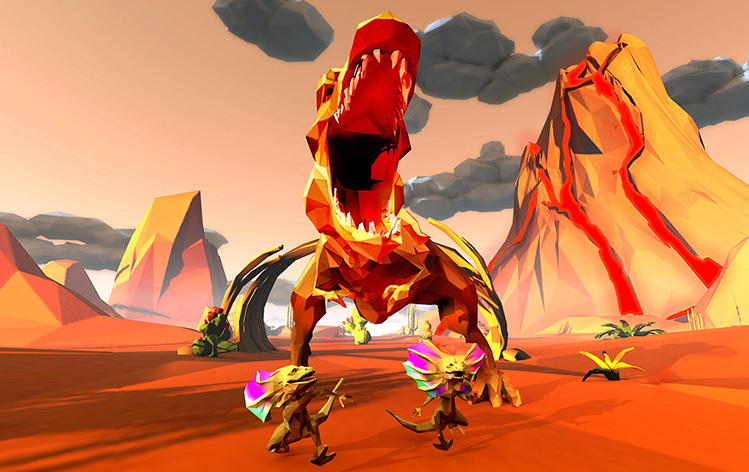 Participants can talk to each other along the journey, with their voices digitally altered to fit each scene.Breathe fire, swim underwater, survive the Ice Age, and soar over volcanos as you evolve through different creatures and a billion years of evolution in this action packed, multi-person VR adventure! Experience new voices, bodies, and special abilities before joining a post-singularity intergalactic dance party set to original music by Pharrell Williams.